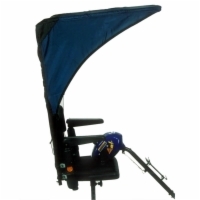 Diestco WeatherBreaker canopies are the original and most universal power wheelchair or mobility scooter canopies in the industry. 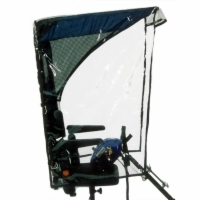 These canopies attach protect you from the sun and rain and are available for nearly every wheelchair and electric scooter model on the market. 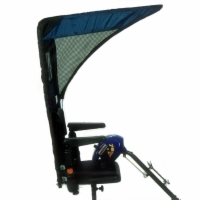 Installing your new wheelchair or scooter canopy typically will take only 15-20 minutes. From then on, it's easy to remove and install. Fabric on the sides and back protects against the elements. Mesh sides and mesh rear window with removable cover provides ventilation while still protecting against the elements. Mesh sides and mesh rear window with removable cover provides ventilation. Drop over side enclosure offers maximum protection.